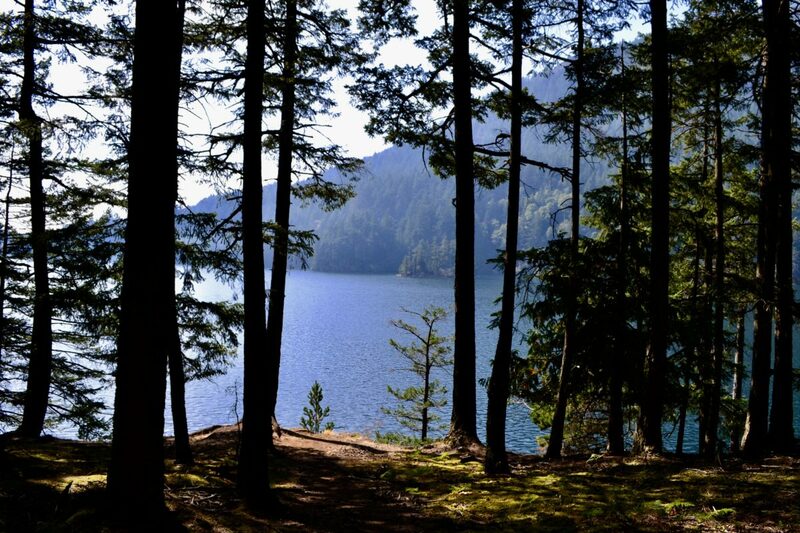 There’s a certain serenity on Orcas Island, in Washington State, that’s startling. I had heard so much about the island that I assumed that, like many of the world’s more beloved destinations, it had been conquered by tourists and summer goers. Yet this island, within a three hour car and ferry journey from Seattle, maintains a wild serenity of working ranches, preserved woodlands, and open waters sparsely populated with only the occasional sailboat or kayak passing by. I arrived on the islands on a brisk day that hovered the line between summer and fall. The ferry, which I had anxiously booked months in advanced, was half filled with locals on their way home from the mainland and people, like me, getting in the last few days of summer. 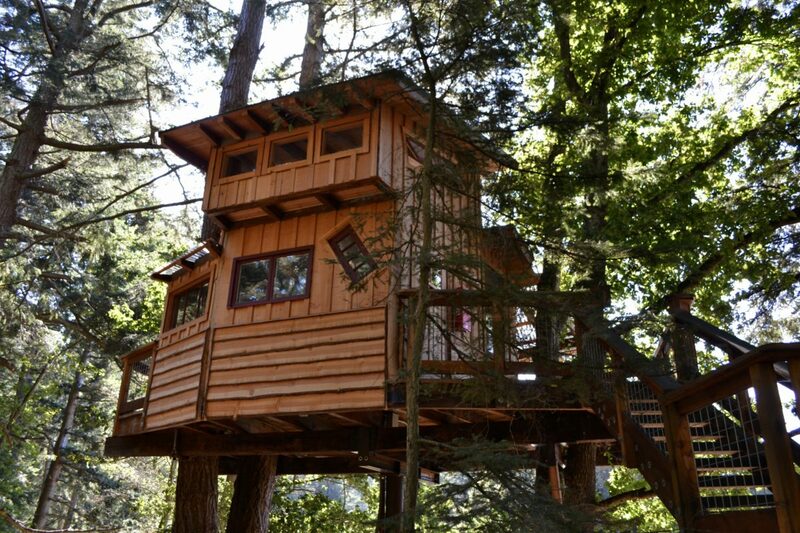 My first stop would be Doe Bay Resort & Retreat, a lazy, unplugged retreat on the eastern side of the island with acres of camp sites, yurts, cabins, and even a treehouse. Doe Bay is known for its clothing-optional hot tubs, its mellow party atmosphere open mic nights, and its homegrown organic cafe. Their onsite organic garden, yoga classes, east meets west massages, and annual summer music festival are popular with both guests and island locals. Hippies off all generations flock here, and as a haven both remote yet full of community, where deer roam freely between visitors, it’s not hard to see why. With a year round population of around 5,000, the complete absence of chain stores and the preservation of large swaths of land—both wild and working ranch land—Orcas is an island that seems to exist in a different time. Lying squarely in the “sun belt,” the island is blessed with sun rather than the northwest’s infamous cloudy gloom. It all seems a little too good to be true. Orcas is most easily accessible by car and it’s a joy to wind through the island’s curvaceous country roads. For a true sense of the place, head to Mount Constitution, the highest point on the island. 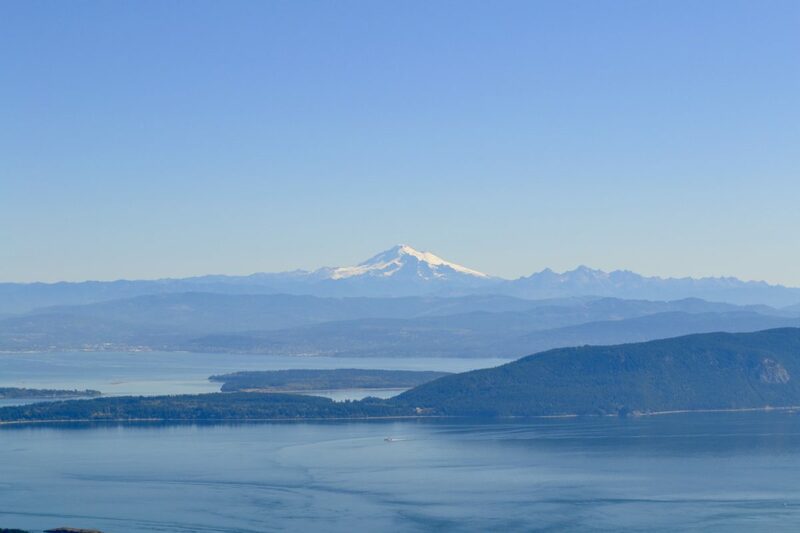 Located in Moran State Park, Mount Constitution is reachable by an arduous climb or a 15 minute drive. From the summit you have a clear view of Mount Baker, and on a cloudless day, Vancouver in the distance. 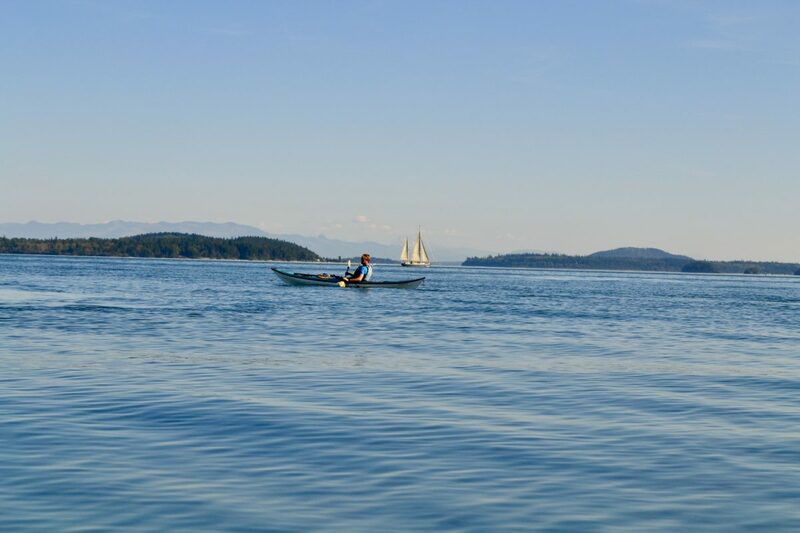 It would be a shame to leave the island without taking it in by water, and Orcas offers no shortage of kayak launches. Opting for something a bit more adventurous than my drive up Mount Constitution, I took a three hour guided journey from Doe Bay with Shearwater Kayaks. Corey Homewood, my guide, lent me his expertly trained eye to seek out seals, porpoise, a sea lion, and oyster catchers. Corey possessed a sense of genuine calm and marvel at nature that seems to run so deeply in many of the island’s year rounders—its a charm that makes you think moving here might be in your plans. 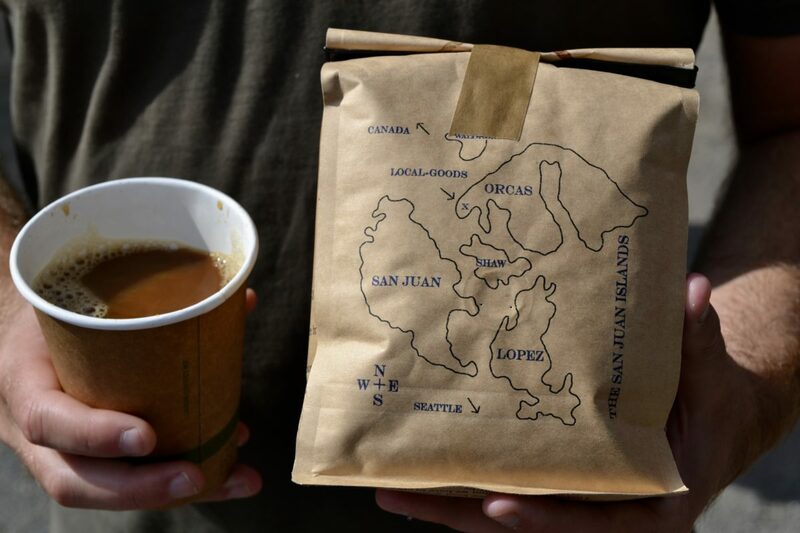 Orcas is a place where locally made and sourced products rule—a microcosm of eat local, buy local perfection. To jump in, start with Orcas Island Artworks Gallery, a collective of Orcas Island artists and artisans. The gallery building was originally a strawberry barreling facility, and the original berry scale sits to the right of the main door. 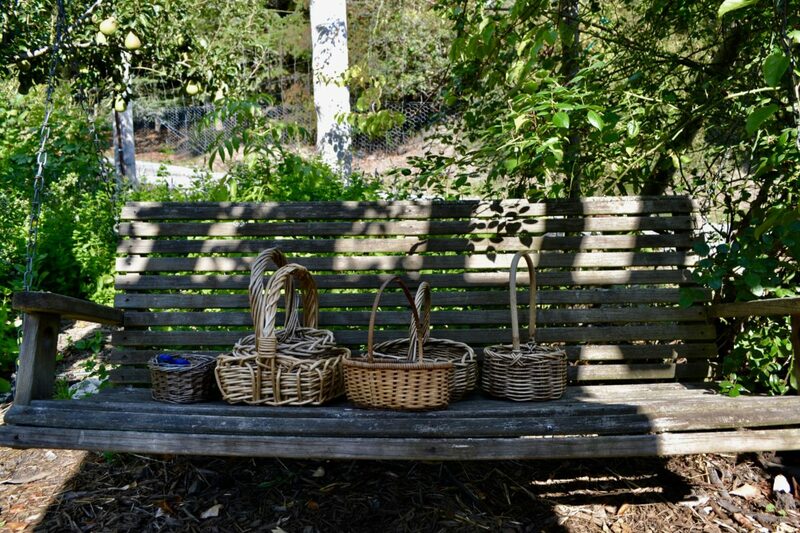 Across the island and through the only “real” town, Eastsound, and down a wooded lane, is Orcas Island Pottery, a tranquil spot on the water with a sizable garden that acts as a display case for elaborately glazed pieces. 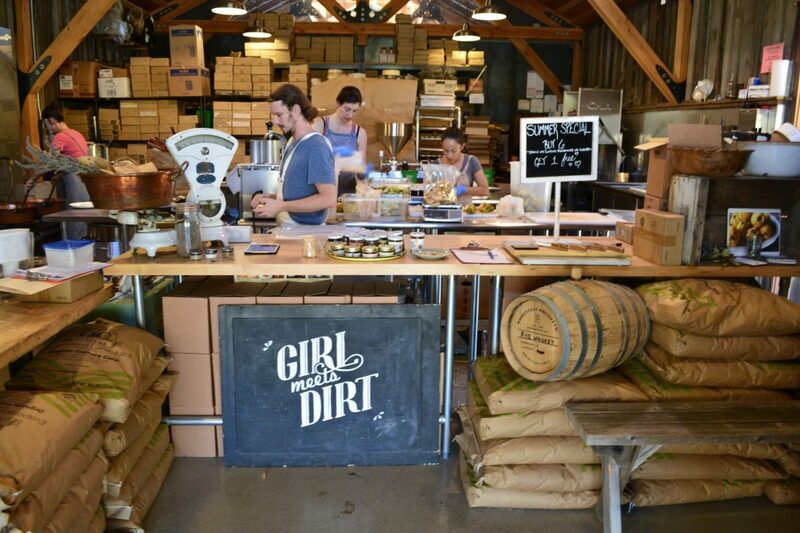 Nearby, on aptly named, Enchanted Forest Road, is Girl Meets Dirt, a tiny organic jam operation with a national distribution. Girl Meets Dirt draws its inspiration from Orcas Island’s century old tradition of orchard keeping, and they painstakingly hand make all of their organic spoon preserves (similar to jams) and cutting preserves (thicker and great with cheese) before sending them far and wide. All made from local fruit and herbs, they have unique offerings such as tomato jam, lavender rhubarb, and pink Bartlett (made from Bartlett pears from an original 1900s Orcas orchard). Just outside of Eastsound you’ll find Island Hopping Brewery, a small joint making some delicious brews. For $15 you can sample their seven offerings, either inside to a folk playlist or outside at their picnic tables. A smattering of sheep and alpaca farms, a coffee roaster, a distillery, winery, and bountiful Saturday farmers market await you too. 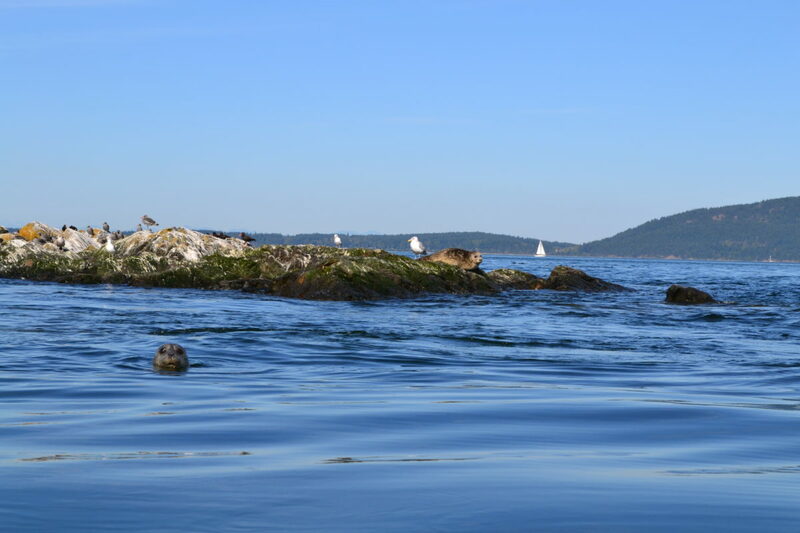 On Orcas you don’t need to look for local and organic options, they will find you. After two days living in the treehouse at Doe Bay Resort and trying to blend in with the clothing-optional crowd, I ventured out to explore the western side of the island, and landed at the tranquil Pebble Cove Farm. A labor of love with an absolutely unbeatable view of the Puget Sound, Pebble Cove Farm is an organic farm that practices what it preaches. 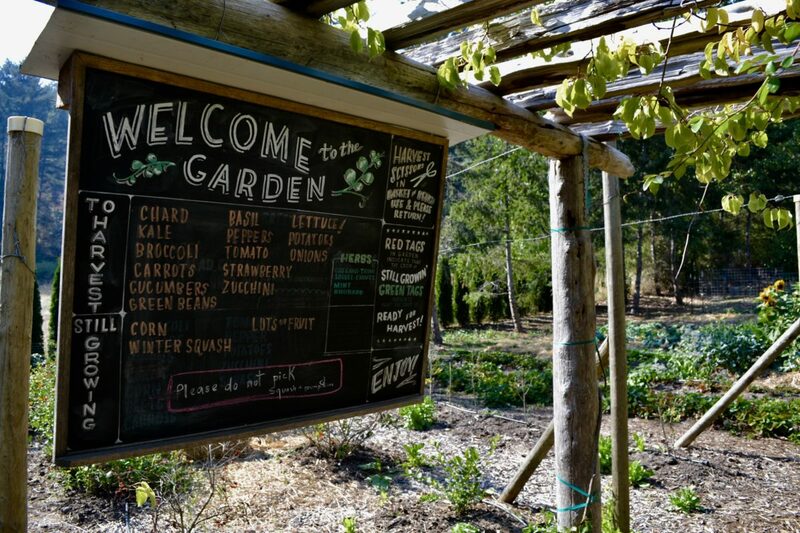 The whole property is entirely absent of chemicals and pesticides, towels and sheets are line dried, compost feeds their chickens and pigs, and guests help themselves to whatever is in season in their garden. The farm animals roam the grounds freely and a small sign at the entrance asks you to be mindful of their pony who has tendency to escape. Pebble Cove Farm manages to be an extremely comfortable boutique property with zero trace of pretension. Hand drawn maps left on fluffy down beds greet guests upon arrival. Nearby Turtleback Mountain Preserve is a great place to take a hike. You can also spend all day at the farm, making use of their rowboat, hot tub, or simply enjoying the strawberries (still in season in September!) growing in the garden. For something active and a bit further afield, head back to Moran State Park and walk the four mile trail around Mountain Lake, diving in whenever (if ever) the sun gets too warm. The lake, placid and welcoming, impossibly blue and ringed by trees, pulls you in. This is an island you won’t want to leave. If you’ve managed to spend time on the water, eat locally caught fish (don’t miss the oysters at Buckbay Shellfish Farm), and broken a sweat on one of the trails, you’ve managed to do Orcas right. Madeline Weinfield is a writer, traveler, and nonprofit professional based in New York City. Follow her adventures @madolionw.